Delving into the process of estate planning might feel overwhelming if you’re not sure what the various terms mean. Read on to get a glossary briefing about some of the most common terms you might hear during this process. Guardian: A person who is appointed to care for another individual. Can be for disabled persons, those unable to make decisions for themselves, and minors. Fiduciary: A person who makes financial decisions for another in the same manner in which they would make financial decisions for themselves. Testator: The individual who makes a will. Executor: The person named in a will responsible for managing the estate after the person who has created the will has passed away. Intestate: This is the situation in which someone passes away without a will. Joint Tenancy: When two or more people co-own a property. 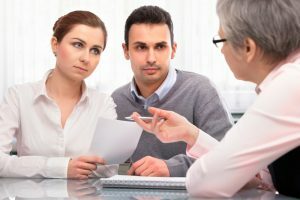 Will: A basic estate planning document that allows you to name someone to care for your minor children if you pass away as well as your intentions for distributing your property. Living trust: An entity established by a person or group of persons with the intention of controlling property, removing it from an estate, and determining how the property will be distributed to others. Offers more privacy than a will. Probate: The legal process through which the court determines how a person’s assets will be distributed. Revocable living trust: A trust that can be changed or revoked over the course of the grantor’s lifetie. Irrevocable living trust: A trust in which the terms cannot be altered. Power of attorney: A document used to enable another individual to make decisions on your behalf, typically relating to healthcare or to financial issues.